The first of the funerals is set to take place tomorrow, and despite ‘progress’ there’s still no final deal on the halting site. Flowers outside the gates of the halting site where the fire took place, last week. LARGE CROWDS ARE expected to pay their final respects to the victims of the Carrickmines fire this week. Willie Lynch, 25, his partner Tara Gilbert, 27, and their two children Jodie, 9, and Kelsey, 4, will be buried in Bray tomorrow. Willie’s brother Jimmy Lynch, 39, will also be buried. Their requiem mass will be celebrated at the Church of the Most Holy Redeemer in the Co Wicklow town at midday. Traffic restrictions will be in place at the town’s main street from 11am until 2pm, and the road will be briefly closed just before the service begins. The removal of Sylvia Connors, Thomas Connors and their three children Jim, Christy and Mary (who was only six-months-old) will be held at the Church of the Ascension of the Lord in Balally, south Dublin, at 5pm on Wednesday. Their funeral mass will take place at the Dublin church on Thursday at 11.30am. A procession will then take place to the Church of the Assumption, Bride Street, in Wexford town, arriving at 5pm. Prayers will be held in Wexford at midday the following day, followed by burial at Crosstown Cemetery. Large crowds are expected at both services, with people travelling from all over Ireland and from the UK to attend, Geraldine Dunne of the Southside Travellers Action Group told Morning Ireland today. Dunne said the organisation was working with the relevant agencies to make sure there is a “safe place” for the families affected after this week’s funerals. They’re being cared for at a recreational centre for the moment, she said. Services are to be held in Wicklow, Dublin and Wexford this week. The arrangements were finalised after the bodies of those killed were released to family members on Friday, after being officially identified. A boy hospitalised on the night of the fire is making a good recovery from his injuries, she confirmed. Meanwhile, Dun Laoghaire-Rathdown County Council has confirmed that more talks with residents are planned for this week regarding a proposed temporary halting site to house survivors of this month’s fire tragedy. Local officials are trying to convince a group of residents at Rockville Drive to allow contractors access to a proposed temporary halting site to house the families. It’s been six days since the dispute first arose. Residents used their cars to block the narrow cul-de-sac after contractors arrived to begin preparatory work at the planned site. A circular had been delivered to houses there shortly before a digger arrived, and residents maintain they weren’t consulted properly. Talks between residents and the Council began the next day, and have been ongoing. In a statement issued at the weekend the local authority said “progress” had been made without giving further details. The residents say the site is “too small, cramped and totally inadequate” to provide accommodation on the scale proposed. The Council has said that the Rockville Drive site will be “decommissioned” within six months, as another permanent location is made ready. The site is just a few hundred metres from where ten people, including young children, perished in a fire in the early hours of Saturday 10 October. Email “Large crowds expected to attend funerals of Carrickmines victims”. 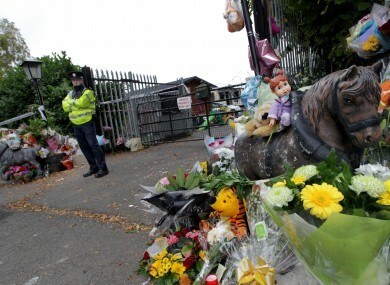 Feedback on “Large crowds expected to attend funerals of Carrickmines victims”.